Dr. Cori Bargmann studies how an animal’s genes, environment and experience cooperate to influence different behaviors. 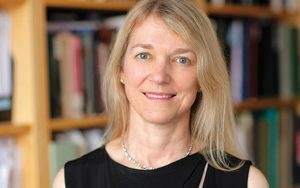 Bargmann, Torsten N. Wiesel Professor and the head of the Lulu and Anthony Wang Laboratory of Neural Circuits and Behavior at The Rockefeller University, served as co-chair of the NIH Advisory Committee for the Brain Research through Advancing Innovative Neurotechnologies (BRAIN) Initiative. I spoke with her as she prepares for her keynote talk at The Allied Genetics Conference (TAGC). Why are you excited to participate in The Allied Genetics Conference (TAGC)? Great science comes from the combination of rigorousness and creativity. You develop rigorousness by becoming an expert in your own field and creativity grows from the sparks that fly when people from different fields come together. It’s the opportunity to interact with geneticists in different fields, and the possibility of that spark and creativity that makes TAGC exciting. Why do you think societies like GSA are important? Societies have two important roles: First they give everyone in the field a chance to get together and have a voice about what is important in that field and how the field should make progress. Second, the societies are the voice of the scientists to our broader community − they are the voice of scientists to the public and the voice of scientists to Congress. We’re lucky in the United States to be in a country where Congress and the citizens support research. It is our responsibility to keep up our side by helping to communicate to them what is important, what progress is, and how we can all work together to make science move forward. Q. What do you expect to talk about during your keynote address at TAGC? I will be talking about the genetic differences between individuals in natural populations that cause them to behave differently from one another. This idea of natural trait variation in genetics and behavior is something that we’ve been studying in the lab for a long time. It has become more exciting and richer because of the progress made in population genetics as well as the evolutionary genetics and genomics of C. elegans and other organisms. That progress gives us a much deeper understanding of these kinds of behavioral diversity than we had before. What advice do you have for the next generation about pursuing a scientific career? I think science is going to depend more and more on collaboration to make progress. As different fields of science become more complex and sophisticated, you’re not going to be able to master all of them. You’re going to want to be able to work together with people in other fields to make exciting advances. That’s going to require learning enough about other fields and learning to communicate what’s important about your work with people in other fields, to be an effective collaborator. How do you see the model systems represented at this meeting contributing to the BRAIN Initiative? In neuroscience there’s always been a recognition that we learn more about the brain by studying different brains, in different animals, than we learn by just focusing on a single system. The most famous animal in neuroscience is the squid, whose giant axon enabled Hodgkin and Huxley to really understand the mechanism of the action potential and electrical communication in nerve cells. Neuroscience has a great record of using different animals so the model organisms represented at TAGC have a lot to contribute to the BRAIN initiative. For example, new tools in neuroscience − which is one of the priorities of the BRAIN initiative − are often developed first in small, fast growing animals (like worms and flies) and then applied to the larger nervous systems. So, there’s a tremendous ability to combine approaches and insights from different organisms to develop technology and methods for discovery in the brain. I see you’re on Twitter (@betenoire1). How do you see social media playing a role in scientific communication and/or interaction? I think Twitter is a great medium for scientific communication. I find it particularly valuable in following fields that are important, but not close to my own. For example, I am really interested in what’s happening in genomics, but if I don’t have time to take 4 days off to go to the Biology of Genomes meeting, I can read 1000 Tweets from that meeting and find out who is doing exciting work and learn more. Just a couple of days ago I was on Twitter and found that Russ Altman put together a talk about translational bioinformatics. I downloaded these slides and felt like the world’s luckiest undergraduate in Russ Altman’s class − being caught up on what was really important in that field over the past year. In scientific communication, for hundreds of years, we’ve had to rely on printed papers to share information. Now, more and more we are learning the potential of computers and digital communication to speed the rate at which scientific ideas and scientific data are spread. For me, Twitter has been the equivalent of having a much larger scientific community than I would have through my own university or field. What is your favorite thing about science or about your work? A: The company of smart people, I think it’s a privilege to be able to talk to smart students, postdocs, and colleagues every day; there is nothing better. What do you like to do outside of your work? A: I go to the opera, I love music. Do you go to Broadway at all? I do. I got to see Hamilton on Broadway before it became impossible to get tickets, and it is a truly original and spectacular piece of theater. Being able to go to Hamilton or see the Royal Shakespeare Company when they come visiting from London is one of the great things about living in a world city like NYC. Since we are on this kind of topic, what is one of your favorite things about living in NYC? A: My two favorite things. First, the excitement of having musicians, dancers, and theater troupes from every part of the world available in live performance, which I do think is special compared to recorded performances. Second, and this is the most underrated thing about NYC, is how friendly it is. It is easy to meet people in fields other than your own and develop real relationships with them. People are open to the world, and that has been a great part of living here. In 1963 Sydney Brenner chose to study the nematode Caenorhabditis elegans. Brenner had initially told colleagues, “I would like to tame a small metazoan.” More than 50 years later, how close do you think we are to completely understanding all of the biology of the worm? I can take a step back from that and ask, “How close are we to completely understanding all of the biology of any organism?” I think that as our tools and the lenses we use to look at biological problems become more sophisticated, we grow more sophisticated in our thinking as scientists. We recognize how sophisticated evolution has been at creating systems that can solve biological problems. It’s quite remarkable to see how successful biological organisms are, for example, as we return to classical questions like metabolism that were studied extensively in the middle of the last century and then less over time. Now we return to questions of metabolism and suddenly realize what amazing metabolic specialists microorganisms are. That helps us think about how to advance completely different areas, not just biomedicine but also the environment, ecology, or energy. We see that it’s our own intelligence and ability to look at a biological system that really limits us, not the sophistication of the system itself. One of really exciting things about genetics right now is that we can study whole new groups of organisms, genetically, in real time. Advances like CRISPR are enabling us to think about non-classical genetic organisms. Some of my favorite work in the C. elegans field is actually not work on C. elegans, but work that people like Paul Sternberg, Ralf Sommer, and Elissa Hallem are doing to understand the biology of other nematodes — animal parasites, plant parasites, this incredible diversity of organisms — and use what we know from C. elegans to bounce off into those other organisms. This is happening in many areas of biology. For example, we can now study the genetics of mosquitoes, not just the genetics of Drosophila. Are there any microorganisms you can envision that may become a model organism in the future? A. The hope is that as individual experiments are much easier than they used to be, we can now open our eyes to a broader range of the biology on the planet. It’s not that we need to expand from the 6 or 7 or 10 model organisms [that we use now], to 15 or 20. We need to realize we’ve been studying just 0.001% of all of the different forms of life on the planet, and we have so much more to learn about those forms of life. What can they do? How do they interact with each other? There’s a reason that we all had to start by working on a small number of model organisms − it was so hard to make any progress. I can remember when the first cDNA libraries were made from mammalian cells and they were precious reagents that were passed from lab to lab. Now, we can open our eyes to more of biology. Every biological organism has genetics, so they’re all potential targets for members of the Genetic Society of America. There has been a lot of talk about new publishing models, e.g. preprint servers, etc., but certainly not a consensus. How do you see scientific publishing evolving and is there still a role for traditional journals to play? I haven’t been deeply involved in this question. I am really interested in science evolving by finding more effective ways to share data and knowledge. I would like to see that be a big push in the near future now that we have such powerful computing systems. So, areas that supplement traditional paper publishing are the ones that interest me the most. Traditional papers will still be good ways for people to express their individual thoughts, as well as, their creative and logical process towards reaching a conclusion. However, right now, every paper I read or publish, I can see that what is published is only the tip of an iceberg of what we’ve actually learned along the way. Finding ways to make the 90 percent that’s below the surface, in addition to the main conclusions, quickly available and understandable is important so others can build on it and continue to discover. Q. I work with elegans and well…I dream about C. elegans. Do you happen to have any C. elegans dreams you would like to share? I had a great C. elegans brain experience. When I was a postdoc, I taught myself the neuroanatomy of C. elegans from John Sulston’s John White’s diagrams. A senior postdoc in the lab Jim Thomas and I were working together to see if we could learn to recognize all the different neurons in Nomarski images. When I would sleep at night, I would dream of the neurons and their relationships to each other. As I grew better at understanding them, I would dream of a worm rotating in three dimensions so that I could see how the positions of the neurons would change as the worm was rotating, which was something I had never seen happen. I think I was actually watching the process of my brain develop these visual skills. It was a fascinating bit of insight into visual learning. In picking worms, are you a scooper or a sticker? (For context: when maintaining C. elegans in the lab, researchers transfer or “pick” C. elegans from one Petri plate to another using a worm picker. This is a utensil that can be used either to “scoop” up a worm (like in a little spoon) – or to grab worms by sticking them to the utensil using a dab of their food (aka viscous bacteria) from the plate). If you had to give up either cheese or chocolate for the rest of your life…which one do you choose? Cheese. I’d give up cheese. I would keep chocolate. 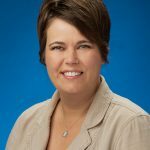 Dana K. Tucker is a third-year fellow of the NIH IRACDA teaching-postdoctoral program in Brian Ackley’s Lab at the University of Kansas (KU). Her research seeks to reveal mechanisms involved in axon guidance and synaptogenesis using C. elegans as a model organism. Dana is pursuing academic positions at predominantly undergraduate institutions where she can continue to promote diversity in STEM and provide early science trainees with bona fide research experiences using C. elegans.